Many years ago, before I learned how to cook well, my mother, being the funny woman she is, gave me a cookbook. 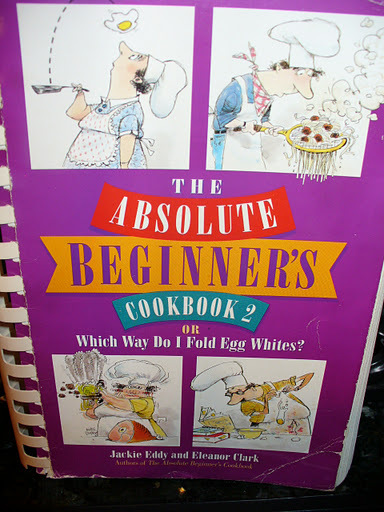 The Absolute Beginner’s Cookbook 2 OR Which Way Do I Fold Egg Whites? Yes, funny mother, very funny. 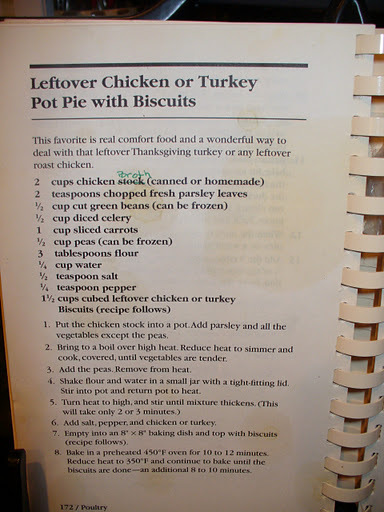 One recipe that I have used many times over the years is the Leftover Chicken or Turkey Pot Pie with Biscuits. You can see that 1) I didn’t know what “stock” was when I first got this and 2) I have used this recipe enough that the pages are all stained. This is the sign of a good and well used recipe! I am going to give you the original recipe and then give you some advice based on my own many years experience with this recipe. One thing I will say: it is a GREAT way to use up any of that leftover turkey you might still have hanging around! 1. Put the chicken stock into a large pot. Add the parsley and all the vegetables except the peas. 2. Bring to a boil over high heat. Reduce heat to simmer and cook, covered, until vegetables are tender. 3. Add the peas. Remove from heat. 4. 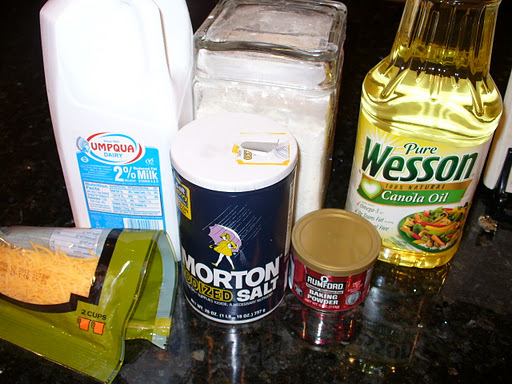 Shake flour and water in a small jar with a tight-fitting lid. Stir into pot and return pot to heat. 5.Turn heat to high and stir until mixture thickens. (This will only take 2 or 3 minutes). 6. Add salt, pepper and chicken or turkey. 7. Empty into an 8 x 8 baking dish and top with biscuits (recipe follows). 8. Bake in a preheated 450F degree oven for 10-12 minutes. Reduce heat to 350F degrees and continue to bake until the biscuits are done, another 8-10 minutes. 1. Sift the flour, salt and baking powder into a bowl. (If you don’t have a sifter, shake through a sieve). 2. 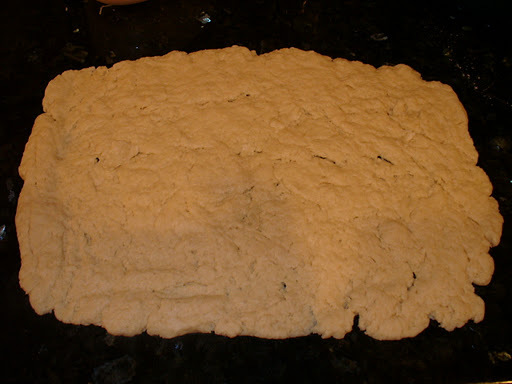 Combine the milk and oil and stir into the flour mixture with a fork until the dough forms a ball. 4. 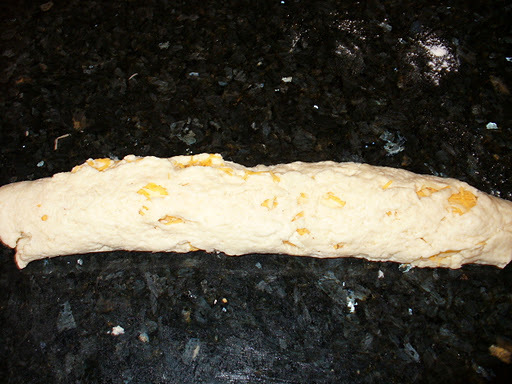 Roll or pat into a rectangle about a 1/4″ thick, and sprinkle with cheese. 5. Roll up rectangle from the long side and slice into 9 pieces, roughly 1/2″ thick. 6. Place on top of chicken mixture and bake (see step 7). 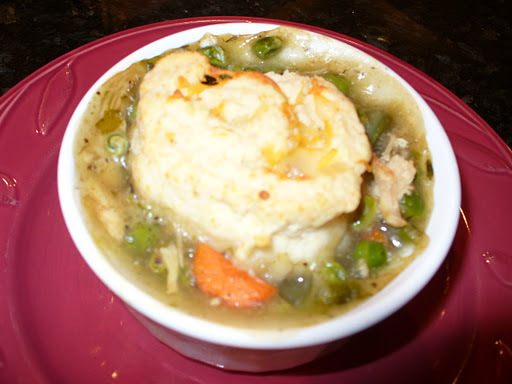 The chicken mixture should be hot when the biscuits are placed on top (this is important). 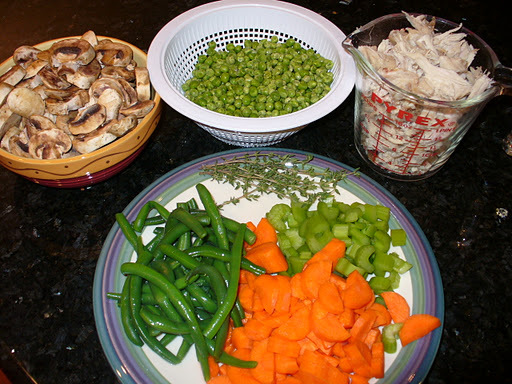 This amount of broth and vegetables called for in the original recipe do not make enough “pot pie”. 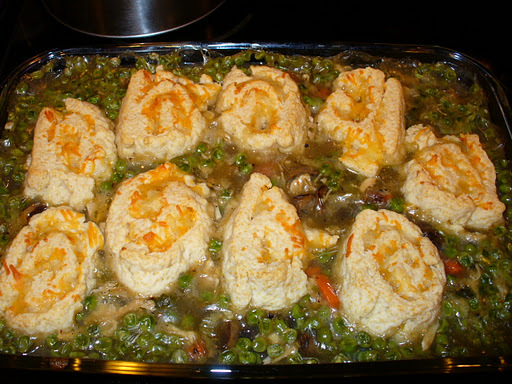 If you follow the recipe exactly you end up with a small pan of veggies topped with lots of biscuit. 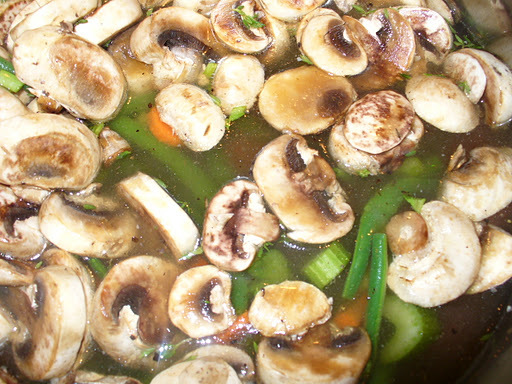 I have found that at least doubling the broth and veggies helps to bulk up this recipe. I make the same amount of biscuit dough. If you DO double the recipe you will need at least a 13 x 9 pan and it will be quite full. It doesn’t really take any extra time to cook as the veggie mixture will still be hot and mostly cooked when it goes into the pan. You may need a little extra flour or corn starch to thicken the sauce. Also, in addition to this recipe being a great way to use up that leftover turkey, it is also a great way to use up those freezer burned peas and whatever other “needs to get used up TODAY” veggies you have hanging around in your crisper drawer. This time I added a bunch of mushrooms, and because I had fresh thyme and not fresh parsley, I used that instead. BE creative! Use what you have on hand. Don’t like celery? Fine…add something else. Want some garlicky flavor? Cool, add some garlic or garlic powder. Use this recipe as a base and suggestion, but utilize what you have available. This meal is flavorful, hearty and total comfort food. You could serve a salad alongside for even more veggie goodness. 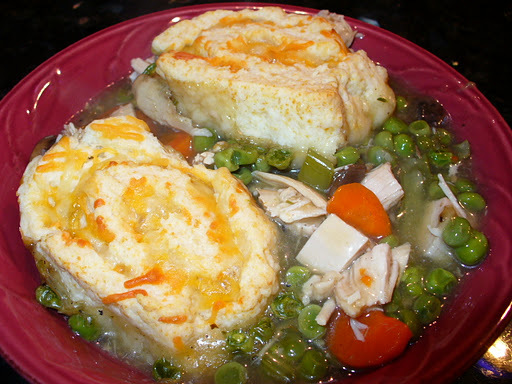 Leftover Chicken or Turkey Pot Pie with Biscuits is a holiday leftover staple in our house. I have been making it for years and we look forward to this “leftover” meal as much as the main turkey dinner. 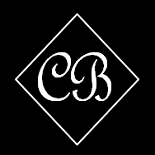 If you try it out, let me know what you think! 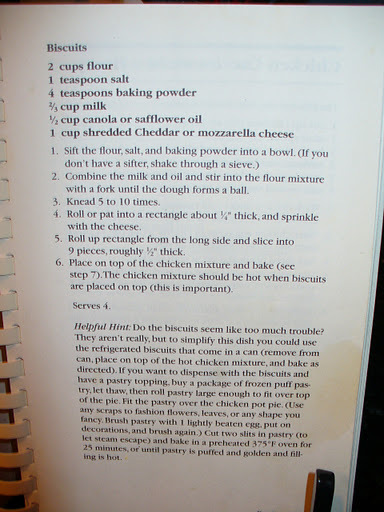 This entry was posted on December 1, 2011 by Corrie Beebe in cooking, food, recipes.